PARIS/FRANKFURT (Bloomberg) -- PSA/Peugeot-Citroen is attracting interest for its Gefco car logistics unit from at least six potential buyers including Axa Private Equity and the French national railway operator. Geodis, a unit of Societe Nationale des Chemins de Fer Francais, is one of the companies weighing a Gefco bid, a union representative said Tuesday. A spokeswoman for Axa Private Equity confirmed the firm's plan to submit an indicative offer. PSA is asking for non-binding bids for as much as 90 percent of the unit by May 25, people familiar with the matter said. Other bidders planning to make indicative offers include Apollo Global Management LLC, PAI Partners, CVC Capital Partners Ltd. and Clayton Dubilier & Rice LLC, said the people, who declined to comment because the talks are private. PSA announced plans in February to sell assets, including a stake worth about 500 million euros ($638 million) in its Gefco division, as the carmaker grapples with European overcapacity and increasing debt. Chief Financial Officer Jean-Baptiste de Chatillon said April 25 the Paris-based company was having "very open" talks with private-equity firms and hedge funds and that Gefco had a "very good market value." "Geodis is one of the names," Rudy De Carvalho, a representative for Gefco's main CFTC union, said in a phone interview Tuesday. "But it's only one of the names, and one shouldn't draw any conclusion from that information. There are many other potential bidders." 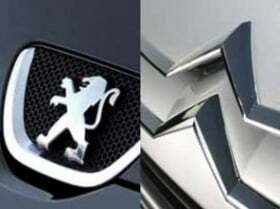 Spokespeople for Peugeot, Apollo, CD&R and PAI and declined to comment. A spokesman for CVC couldn't immediately be reached. The sale of "non-strategic assets" will allow the carmaker to focus on the long-term priority of increasing deliveries outside Europe, CEO Philippe Varin said in February. The European market is set to contract in 2012 for a fifth straight year. Industrywide sales in the region through April are down 7.1 percent, according to data from industry association ACEA. Gefco's recurring operating profit rose 13 percent last year to 223 million euros. PSA's overall profit for 2011 dropped 27 percent to 1.32 billion euros, with the automotive division reporting a loss of 92 million euros. Net debt widened to 3.4 billion euros at the end of 2011 from 1.6 billion euros on June 30. Peugeot said last month that first-quarter revenue fell 7.3 percent after cutting prices to stem a contraction in the demand for cars in Europe. Peugeot is setting up a broad alliance with General Motors Co. that includes developing vehicles and joint purchasing as the two carmakers work together to turn around their European operations.